Geese are so entertaining and funny. They think they are the most regal of birds on land, strutting as they do. 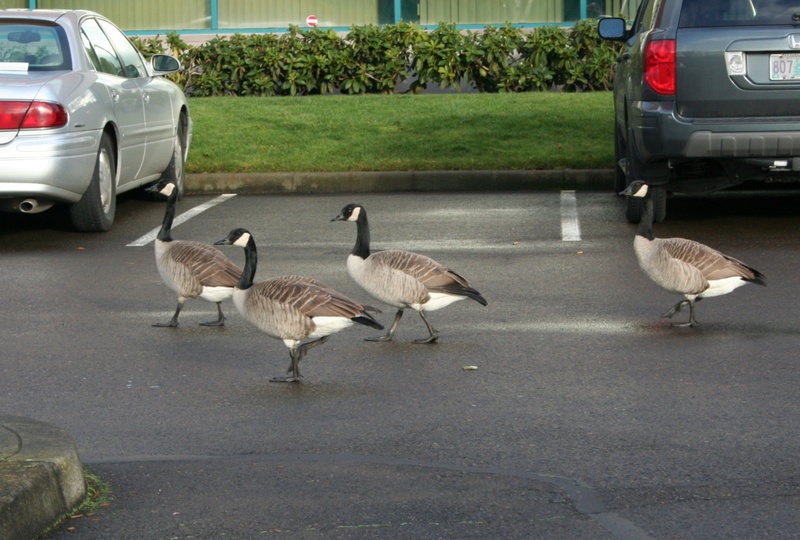 The ones that come into the business park where I work and walk are wild, and do not take kindly to approaching humans, which is fine with me. Tame geese are mean. 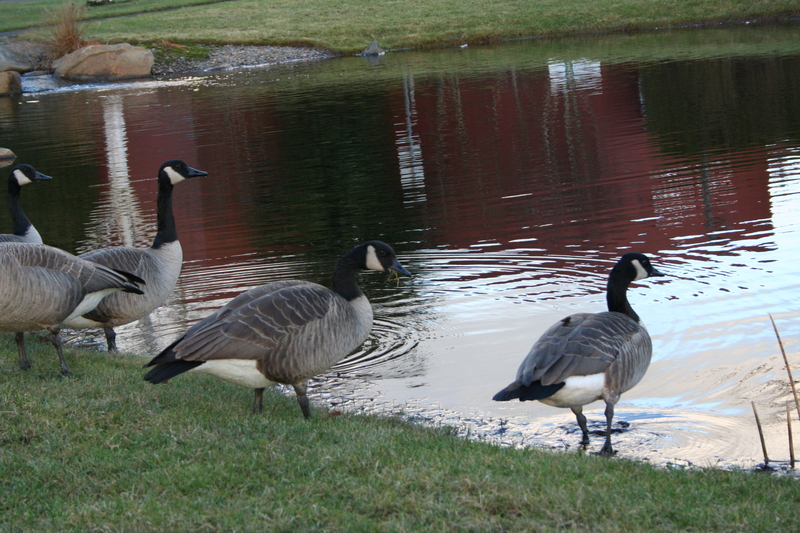 These geese keep a respectful distance and a wary eye on us. Nope, a Christmas isn’t a Christmas without the Christmas goose. Or geese, in this case! And they know it, huh? 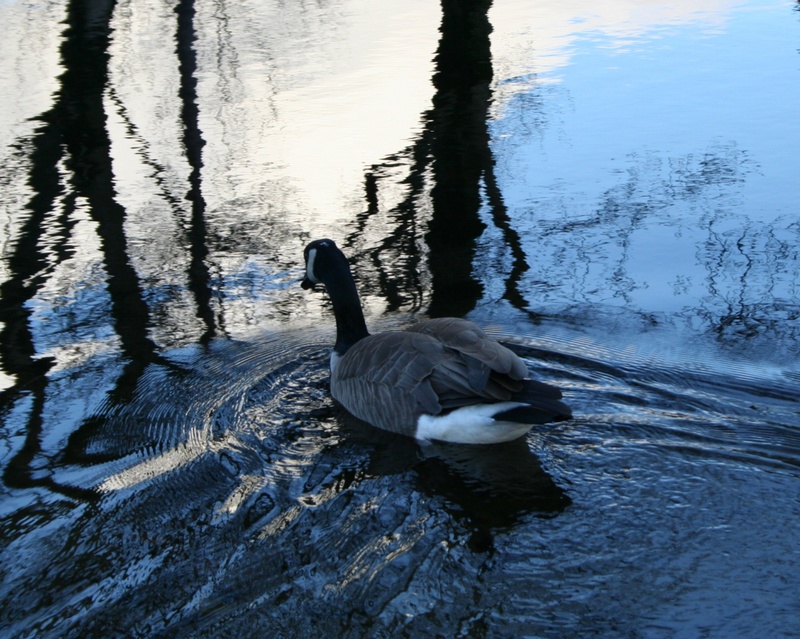 Reminds me… someday I will have to blog about the goose our friend brought to us and we slaughtered. Oh, no. That is just too horrid a tale for a blog. The goose was old, the meat was stringy, and I will never eat a goose again. EVER. 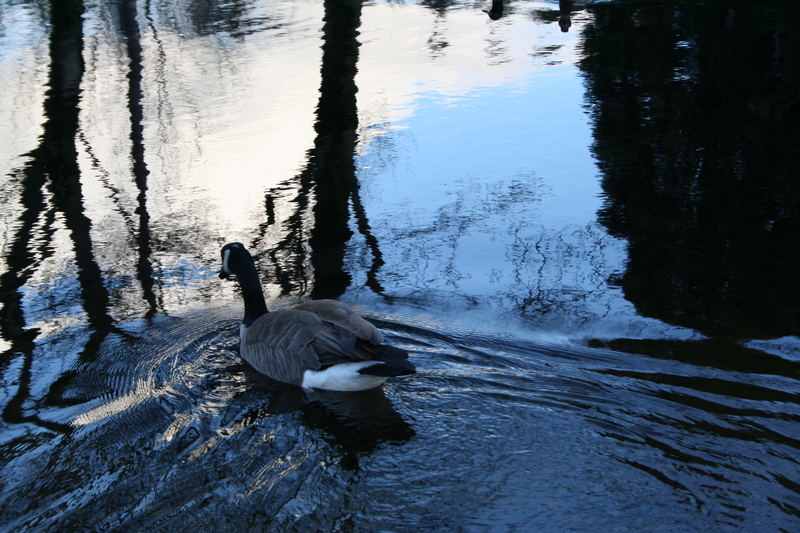 Geese are only good to look at.